Last night, I did a multilingual rosary with some friends. The question arose: What was the original language of the rosary? As a well-trained Classicist, I immediately answered “Latin,” but a friend responded right after that she thought the rosary originated in Ireland. Turns out, none of us really knew from where the rosary came, so I decided to do some quick poking around online to find out. 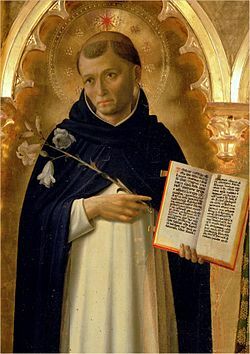 Tradition holds that Mary divinely revealed the rosary to St. Dominic. But many Catholic historians dismiss that as legend, especially since St. Dominic is not usually associated with the rosary. Most likely, the rosary as we know it developed slowly. It was first used by religious orders to keep track of the 150 Psalms in the Bible. Those who wanted to imitate the monks but were not literate enough to read the Psalms used the rosary for prayers they did know, such as the “Our Father,” as they reflected upon the lives of Christ and Mary. (Our “Hail Mary” prayer originated from this; whenever the faithful began reflecting on the life of Mary, they offered the salutation that the Angel Gabriel offered Mary: “Hail, full of grace!”) Eventually, these elements — the psalms, the everyday simple prayers, and the reflections upon the lives of Christ and Mary — formed the rosary as we know it today. 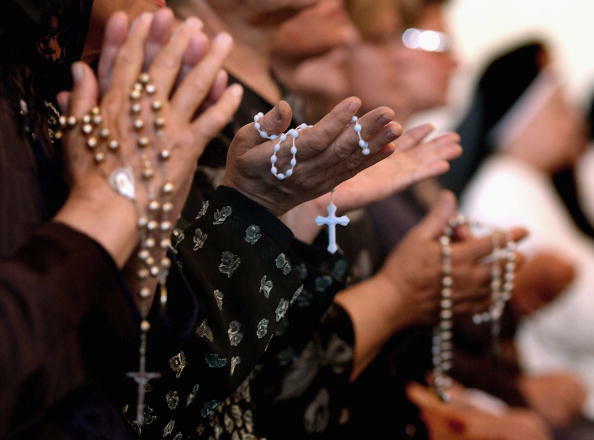 When did the rosary explode in popularity? In the 1500s, Eastern Europe was being ravaged by a Muslim assault, jeopardizing Europe’s control over the Mediterranean. 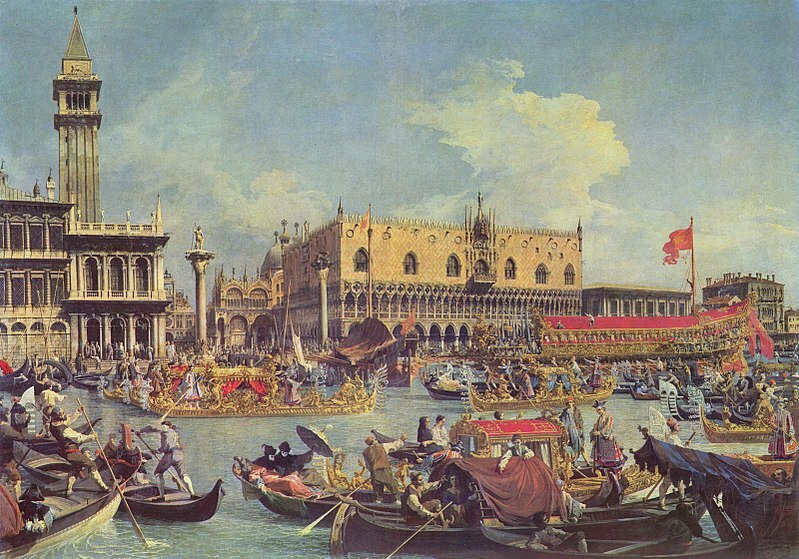 In 1571, Pope Pius V organized a fleet under the command of Don Juan of Austria and asked all the faithful to pray the holy rosary to implore the help of Mary, Our Lady of Victory. 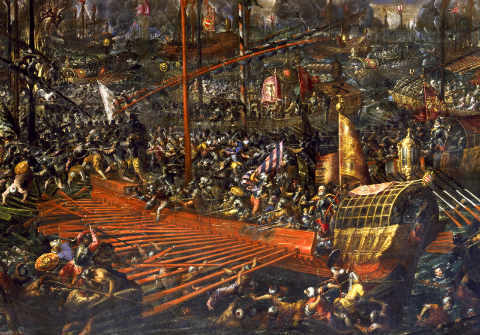 Outnumbered but flying the blue flag of Christ crucified on their flagship, the Christians won a smashing victory at Lepanto on October 7, 1571, effectively crippling the Muslim Turkish threat to dominating the Mediterranean. The next year, Pope Pius declared October 7 the Feast of the Holy Rosary, which is observed to this day. I grew up praying the rosary with my family, and I love praying it with dear friends. It’s a devotion to which all Catholics should commit themselves more. 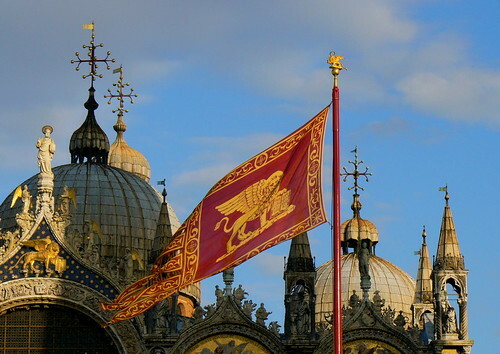 The Holy Rosary and the divine intercession of the Blessed Virgin Mary bring tremendous graces, and, as the Battle of Lepanto has shown, they can work incredible wonders. further reading: History of the Rosary by Fr. William Saunders, The Holy Rosary: Origins from Holy Spirit Interactive, and Beads and Prayers: The Rosary in History and Devotion by John Desmond Miller. I may be a Latin enthusiast, but that really has no influence on me when I declare that the Latin Mass is one of the treasures of the Catholic Church. I think the reason I like it so much is that it holds a profound sense of–to use a Latin word–gravitas, that is, a sense of seriousness and substance, of sublimity and otherworldliness. Just behold the incense, the Latin prayers, the chanting, the kneeling during communion, even the very silence, and you will see that the traditional Latin Rite is imbued with a sense of something greater than ourselves and the world. It’s something that makes us distinctly aware of Christ’s presence. It’s an inspiration that we can carry with us even after Mass. A few months ago, I admit that I was feeling a little disillusioned with Mass (the vernacular Mass of Vatican II), especially in college. It certainly made me feel warm and fuzzy sometimes, with all the joyful singing and hug-it-out peace-be-with-you’s. The feeling of being connected in a community gave me emotional highs of belonging and goodwill. Yet these feelings were temporary. Feelings of warmth and fuzziness don’t equal feelings of completeness or satisfaction. It took me a visit to a Muslim service in South Bend to help me realize what was missing. I was deeply struck by the stern imam, the deeply sincere prayer of submission, the Arabic chanting, even the respectful separation of men and women during worship. All of it was imbued with a sense of gravitas. Everyone knew why he or she was there and everyone demonstrated the properly respectful demeanor. This is the gravitas to be found in the Latin Mass, and it’s something that I wanted. It’s funny how an Arabic Muslim service helped lead me to the Catholic Latin Mass. I think the Latin Mass is so essential today because it offers the gravitas that many Catholics yearn for, whether they realize it or not. In our world of relativism, convenience, temporary emotional highs, and lack of commitment, the Latin Mass offers truth, substance, solidity, sacrifice. These are the elements that I hope the Third Edition of the Roman Missal will recapture when it comes out on November 27. No matter what, though, we should always remember the value of the Latin Mass. Through it, the Catholic Church stands as one of the few institutions that offers gravitas in a world full of fickleness. No big deal, though; it’s just another reason of why being Catholic matters.